New testing strategies for prostate cancer, including noninvasive saliva tests, may be close to hand, now that an in-depth study of DNA samples from more than 140,000 men has implicated 63 additional genetic variants of prostate cancer risk. By adding the newfound variants to previously known prostate cancer risk variants, scientists based at the Institute of Cancer Research (ICR), London, have devised a new test that can identify men who are most likely to develop prostate cancer. The new test could redraw risk strata: The test’s highest level of risk, the top 1%, consists of men who are nearly six times more likely to develop prostate cancer than the population average—taking the absolute risk from around 1 in 11 to 1 in 2. At the top 10% are men who are 2.7 times more likely to develop the disease—corresponding to a risk of almost one in four. 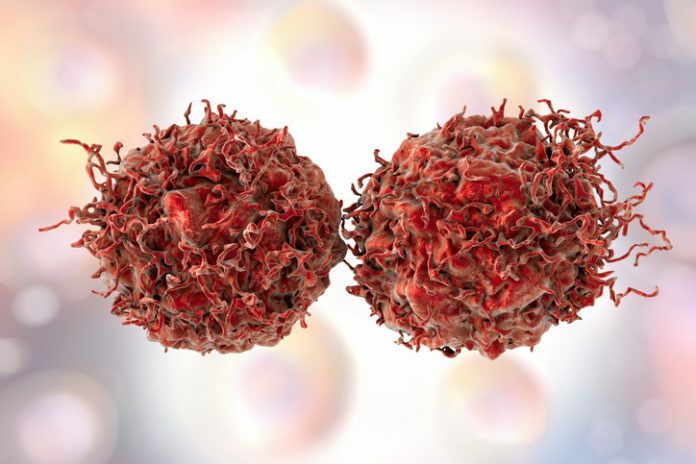 Detailed findings from the ICR-led study appeared June 11 in the journal Nature Genetics, in an article entitled “Association Analyses of More Than 140,000 Men Identify 63 New Prostate Cancer Susceptibility Loci.” This article described how a kind of DNA analysis called an OncoArray was used to compare more than half a million single-letter changes in the DNA code of nearly 80,000 men with prostate cancer and more than 61,000 men without the disease. “We identified 63 novel prostate cancer-susceptibility variants, including strong candidate loci highlighting the DNA-repair and cell-cycle pathways,” wrote the article’s authors. “The 62 newly identified prostate cancer loci increased the false recognition rate by 4.4%….The polygenic risk score [PRS] was positively associated with overall prostate cancer cases, as compared with all controls. The ICR scientists indicated that they believe enough is known about prostate cancer genetics to begin assessing whether testing can benefit patients. They are planning a trial of a DNA test on saliva samples taken in general practitioner (GP) practices, to evaluate whether advice or preventative treatment could reduce cases of prostate cancer among those men found to have the highest inherited risk. Interestingly, the researchers found that many of the new genetic variants were found in the region of genes involved in communication between cells of the immune system and other cells in the body. This implies that genetic errors in immune pathways may be affecting prostate cancer risk, which could have important implications for potential future treatment of prostate cancers with immunotherapies. “By looking at the DNA code of tens of thousands of men in more depth than ever before, we have uncovered vital new information about the genetic factors that can predispose someone to prostate cancer, and, crucially, we have shown that information from more than 150 genetic variants can now be combined to provide a readout of a man's inherited risk of prostate cancer,” said Rosalind A. Eeles, Ph.D., professor of oncogenetics at the ICR and a corresponding author of the current study.